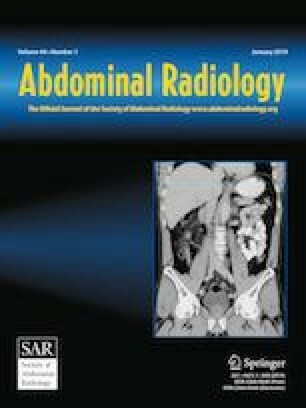 This retrospective study was to explore the value of whole lesion apparent diffusion coefficient (ADC) histogram in distinguishing invasive and noninvasive intraductal papillary neoplasms of the bile ducts (IPNBs). Fifty-two patients of IPNB underwent MRI at 1.5T with diffusion-weighted imaging (DWI, b = 500 s/mm2) before surgical resections. ADC histogram metrics were generated by using the software MR OncoTreat. The mean, standard deviation, median, skewness, kurtosis as well as the 10th, 25th, 75th, and 90th percentiles were compared between pathologically defined invasive (n = 35) and noninvasive (n = 17) IPNBs. Such conventional imaging characters as lesion location, bile duct wall dilation, and mural nodularity were also assessed. Multivariate regression analysis as well as receiver operating characteristics (ROC) analysis were then conducted to determine the predictive factors and to evaluate potential diagnostic performances. The inter-operator reliability was good to excellent (ICC: 0.693–979). Mean median, kurtosis, and the 10th, 25th, 75th, 90th percentiles were all greater in noninvasive group than invasive ones (P: 0.00–002). Skewness was lower in noninvasive group than invasive ones (− 1.0 ± 0.6 vs. − 0.3 ± 0.6, P = 0.00). After multivariate regression, skewness (AUC = 0.822, 95%CI 0.70–0.91) and mural nodularity (accuracy = 0.808) were the only two independent factors in predicting invasive IPNBs. The diagnostic performance improved (AUC = 0.867, 95%CI 0.742–0.946) when combining skewness and mural nodularity, however, the difference did not reach statistical significance (P = 0.16). The ADC histogram has capability of distinguishing invasive and noninvasive IPNBs, in which skewness was an independent predictive factor. All procedures performed in studies involving human participants were in accordance with the ethical standards of the institutional Review Board and with the 1964 Helsinki declaration and its later amendments or comparable ethical standards. This article does not contain any studies with animals performed by any of the authors. Written informed consent was waived by the Institutional.